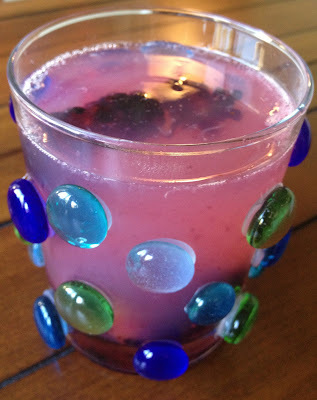 I softened the blow for our viewing party a bit by serving these fabulous drinks, which we called Daenery's Dragon Fruit Lemonade. We put in about a half a shot of Dragon Fruit Rum and then almost filled the glass with lemonade and then added the blackberries. It was delicious. It would also be delicious without the alcohol. All summer long, Mystery Playground is matching books with drinks. You can see more book/drink match ups here. This sounds totally delicious. I need to try it this weekend. It's really good with just the lemonade and the blackberry too. I really wish I lived close enough to you to have drinks at your house. You guys sound like you have SUCH fun.